The 152nd annual reunion will be held in the College hall on Saturday, 14th July 2018, when Old Boys of the Grammar School and Alumni of BHASVIC will sit down to a splendid buffet lunch provided by the college caterers. Our guest speaker this year will be Paul Lewis MBE, who attended the grammar school from 1954 to 1960. Paul, who lives in Australia, will talk of his interesting and varied career, culminating in his involvement with British/Australian Chambers of Commerce; it was for this work that Paul recently received the MBE in the Birthday Honours List. 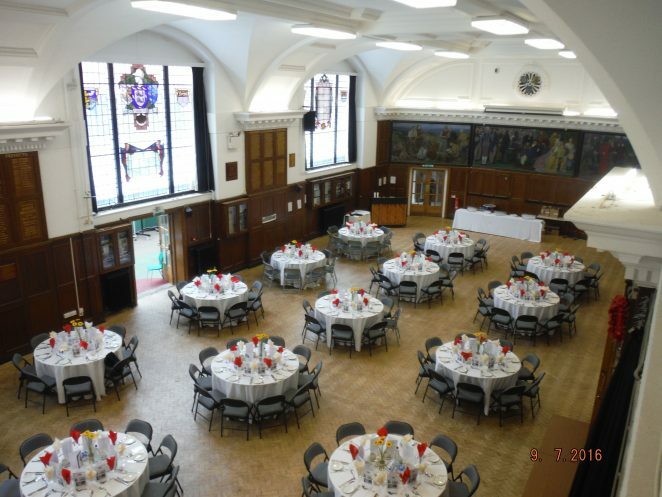 If you would like to attend the Lunch and catch up with old friends, please be in touch with the Reunion Secretary, Christopher Bennett, at christopherbennett@btconnect.com or Membership Secretary, Bruce Rawlings, at rawlings@mistral.co.uk. At the time of writing there are still places available. Partners are also welcome. My uncle, John Brian Cother was in the Gilbert and Sullivan operas at the Brighton Hove and Sussex Grammar School in 1931. He played the lead role. I was lucky enough to walk through the main hall in 2014 and viewed the memorial windows. My uncle’s name is included in the honour roll, he was killed in WWII. I am writing his biography, and wonder if ANYONE out there knows what happened to the sports cups from the old school? There is one my grandparents presented for the best shooter, my uncle was a top shot in the OTC. Should there be anyone out there still alive who recalls my uncle, I would love to hear from you. Bruce Rawlings, I would love to know when the next Past and Present luncheon is going to be held. I will be in the UK June 22nd to Sept 21st 2015. I met up with Mark Gillingham last year, and gained so much insight as to my uncle’s life at the school. I have been in contact with the son of Sir Read. Thank you.